There are so many reasons for chronic pain it can be frustrating just to find the cause of it all. In the case of a pinched nerve, the potential variety of symptoms is simply staggering: arm pain, shoulder pain, back pain, neck pain, burning pain, tingling sensations, pins and needles, and so many others. It's no wonder people seek the opinion of an expert when the pain won't quit. At Living Well Medical in NYC, we use the latest and greatest in diagnostic and treatment technology to find the root cause of pain and get you back to normal living again. So let's assume the cause of your pain is a pinched nerve - how can we tell? We have a few exceptional tools for making an accurate diagnosis. The first tool is called an NCV (stands for Nerve Conduction Velocity); it's a test that measures how fast nerve impulses get to where they are supposed to go. In cases where they don't travel at a normal speed, or there is a difference in speed at two different points along the same nerve, a doctor can valuable data about impingements in the nerves (aka a pinched nerve). The next tool we use is called Electromyography or EMG for short. An Electromyograph is used to detect the electrical activity within muscles. By measuring these signals that are sent and received, a doctor with training can detect abnormalities and make a diagnosis for treatment. Lastly, we can use Ultrasound for diagnosis. In much the same way that it allows an expecting mother see her unborn child, it can be applied by a trained professional to visualize muscle fibers and diagnose defects. Just as we have several tools for the diagnosis of a pinched nerve, treatment is potentially multi-faceted. As a total wellness and pain relief center, we offer several therapies that can relieve the pain of a pinched nerve and get at the cause. 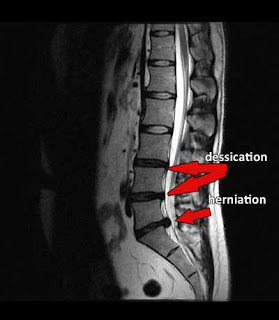 Spinal decompression therapy, Active Release Technique, Chiropractic adjustment (such as the Cox Flexion technique), physical therapy and so many other types of treatment are available to stop the pain of your pinched nerve in NYC. 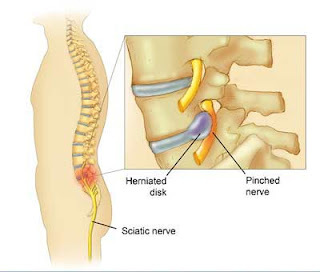 If you are experiencing any of the symptoms described above and suspect a pinched nerve, DON'T WAIT to get treatment. The pain could get worse without the help of a skilled practitioner. Call Living Well Medical in NYC today, and let us help you feel like yourself again. We're just Downtown in the SoHo area.